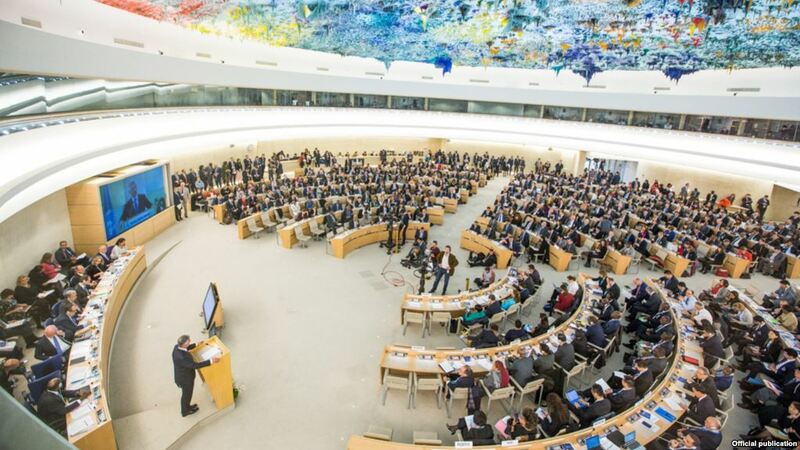 (TibetanReview.net, Mar16, 2018) – Speaking under the key agenda item “Human rights situations that require the Council’s attention”, a number of countries have expressed concern on the human rights situation in China and Tibet during the ongoing 37th Regular Session of the UN Human Rights Council in Geneva on Mar 14. The countries that specifically raised the situation in Tibet in their statements were Bulgaria, Canada, France, Germany and the United States. Bulgaria’s statement was made on behalf of the European Union an it was supported by a number of states, including Belgium, Finland, France, Germany, Slovenia, said the International Campaign For Tibet (Washington, ICT) Mar 14. ICT said the delegations from these countries expressed alarm at the ongoing violations of the fundamental rights of Tibetans, saying these were incompatible with China’s national and international commitments. Many were also stated to have also called on China to release all those detained solely for exercising or protecting fundamental rights –some explicitly mentioning the case of Tibetan language rights advocate Tashi Wangchuk. The man awaits verdict in Yushu Prefecture of Qinghai Province after a trial for alleged incitement of separatism. ICT said concerns about Tibet were also raised on a number of other occasions during the current session, including by the UN High Commissioner for Human Rights who noted that his office “continues to receive urgent appeals regarding arbitrary detentions, enforced disappearances, ill-treatment and discrimination” of Tibetans. The EU Special Representative for Human Rights, Mr Stavros Lambrinidis, was also stated to have raised the case of Tashi Wangchuk during the High Level Segment.